Financial planners are professionals in the field of personal finance as a whole.They are like doctors solving your health problems.You may have diffrerent financial problems,which make your life tough and complicated. 1.Financial planner discuss your dreams,needs and life goals.He will evaluate the whole picture. 2.Financial planner does not sell any thing to you.But, they provide solutions to fulfill your life goals. 3.Financial planner rectify the investment mistakes by an asset allocation strategy suited for you. 4.The recommendations from a financial planner will focus on the betterment of the client.It is different from the sales persons of financial services. 5.Financial planner make an initial plan which will act as a foundation for your life.You will know better savings and investment avenues. 6.Financial planner analyse your risk tolerance and capacity before recommendations. 7.You can understand the importance of wealth creation by scientific investing. 8.You will learn your financial ratios depicting the financial health. 9.Financial planner adress the need of your whole family and guide you for goals such as education,buying a home,start a business or planning for retirement. 10.Financial planner provide a holistic approach after detailed discussions and review it periodically for your financial freedom. Financial awareness initiative is an attempt by www.financialfreedomlive.com to educate the people about savings and financial planning.It follows the guidelines by SEBI , NSE and Financial Planning Standards Board India.These Non Paid sessions are suitable for different groups of people who want to improve their financial discipline and maintain financial freedom in life. Resident Associations, Professional Bodies, Insurance Companies, Schools & Colleges, Employees of different Companies and various organizations. Financial awareness initiative spreads the message of savings habit, financial discipline and financial planning.These Short sessions does not contain selling of any financial product.It provide general rules and scientific approach for financial freedom. Financial awareness sessions will take minimum 30 minutes to maximum 1 hour as per the requirement of the group. Currently, it is conducted in Ernakulam and premises only.For more details: call 9645954155. Savings is not easy in the new era of consumerism and technology.Small precautions in money matters can make big difference in your personal savings.Practice these savings ideas in your daily life.It will help to spend money wisely and improve your savings habit. 1.Save your coins and Put in a box.Use it for Savings purpose. 3.Record your Spendings in a diary. 4.Spend if it is required for a need or goal.make a spending plan. 6.Avoid unnecessary travels by car to save fuel expenses. 7.Control the usage of electricity and water. 9.Use Emails,Chat,Video chats for Communication. 10.Don't apply for fresh loans. 12.Switch your debt to low interest loans. 14.Avoid revolving credit facility.Always pay the Outstanding amount before the due date. 15.Calculate the future value of your goals. 16.Prepare a list before shopping. 19.Check alternatives for Premium Branded items. 20.Reduce frequent 'Outings' and costly entertainments. 21.Stop bad habits such as smoking and drinking to save money. 22.Be awre about the market price of any good. 24.Repair and reuse the goods , if possible. 25.Replace items,if there is no other option. 26.Don't be fascinated by changing fashions and trends. 27.Use libraries for Books and CDs. 28.Avoid Late fee.Pay bills on due date. 29.Get Expert advice and avoid big mistakes. 30.Do not bounce your cheques. 32.Know your risk levels.Take calculated risks only. 33.Compare the best plans before buying any thing. 34.Practice compulsory savings through recurring deposits and systematic plans. 35.Save money to invest in assets. 37.Do not treat yourself.Consult doctors to evaluate your health. 38.Prepare a Personal cash flow statement. 39.Educate your family members about savings. 40.Strictly follow your Spending Plan. 41.Evaluate your expenditues in a day or week. 43.Do Cost Benefit analysisbefore any spending. 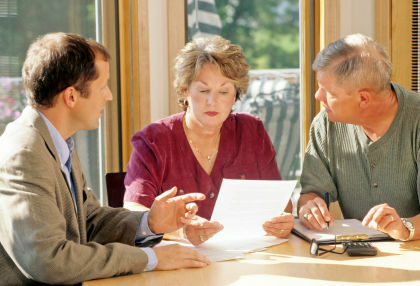 44.Consult with an unbiased financial planner. 45.Do not buy insurance from Uncle agents. 47.Save daily and strictly invest as per risk level. 48.Learn well before taking any project. 49.Do not buy cheap items.It may not last. 50.Organise your money matters and cash flow.